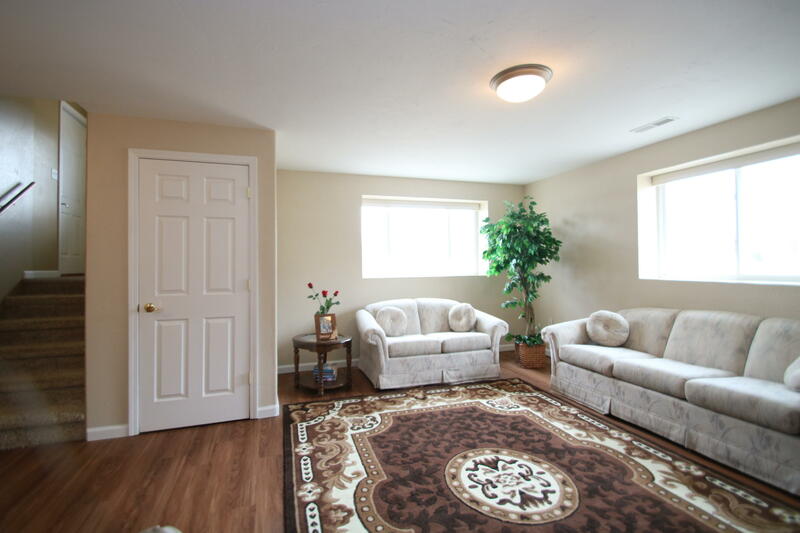 This twin home style condo would make an EXCELLENT INVESTMENT PROPERTY or the PERFECT PLACE TO CALL HOME! 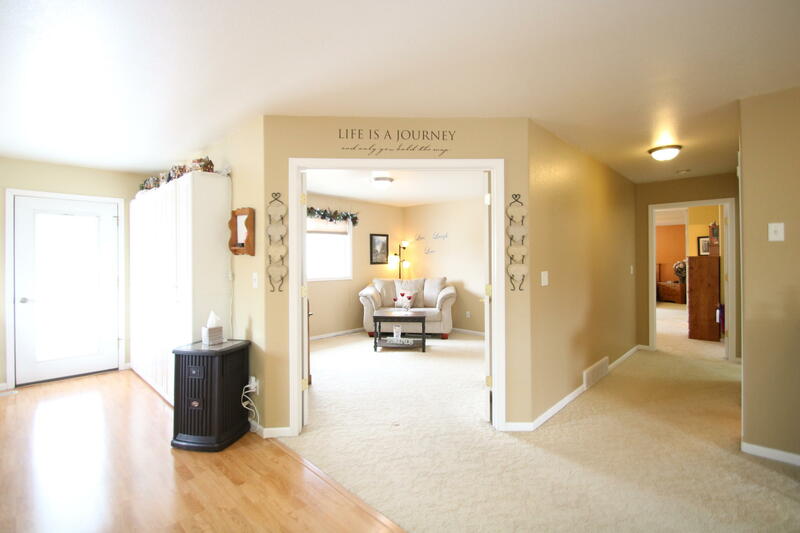 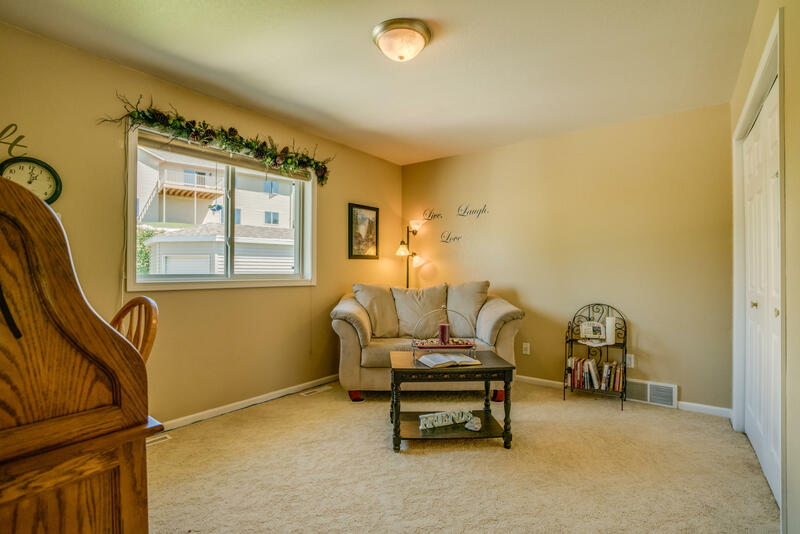 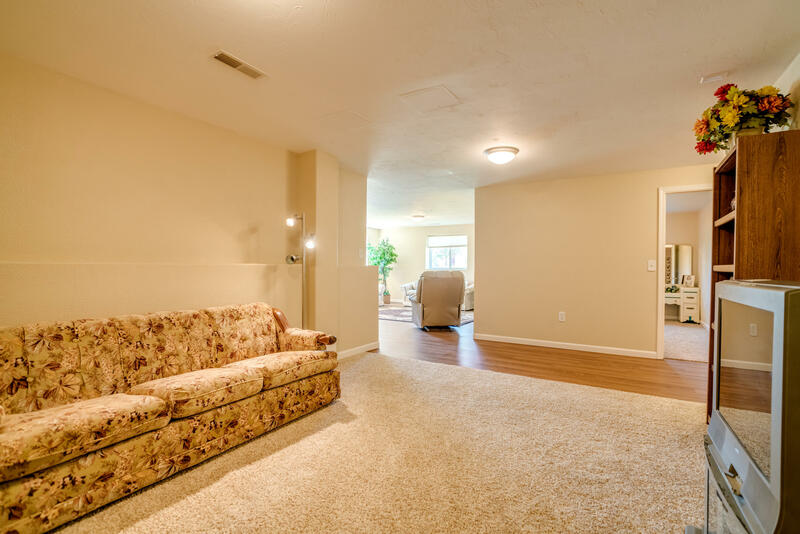 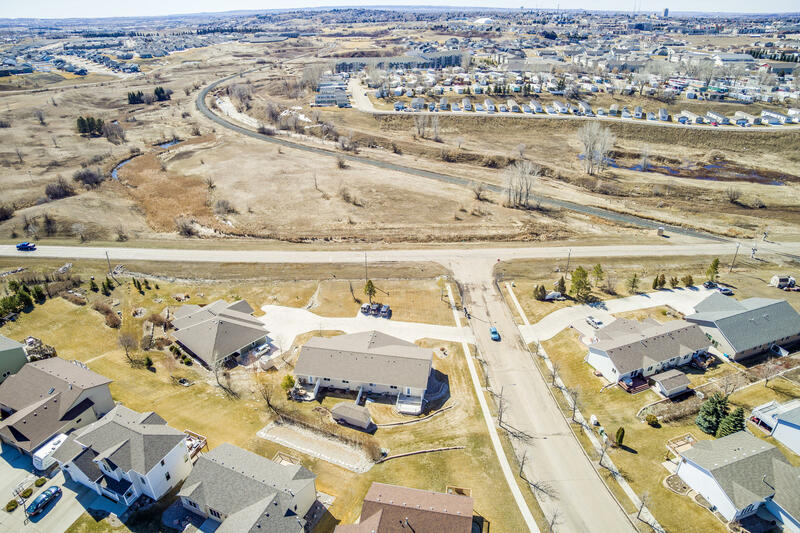 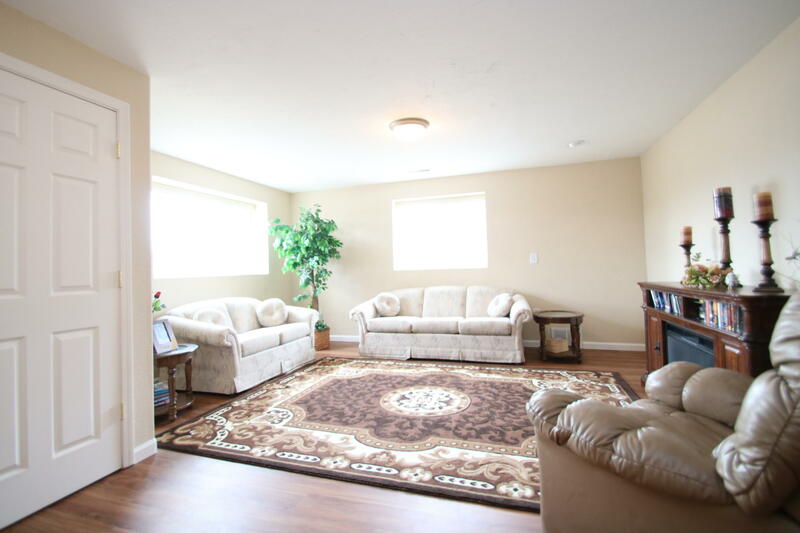 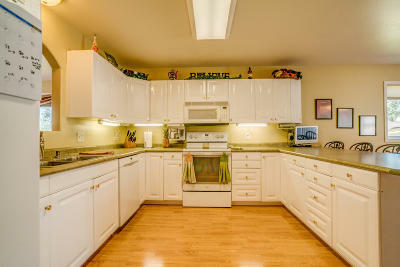 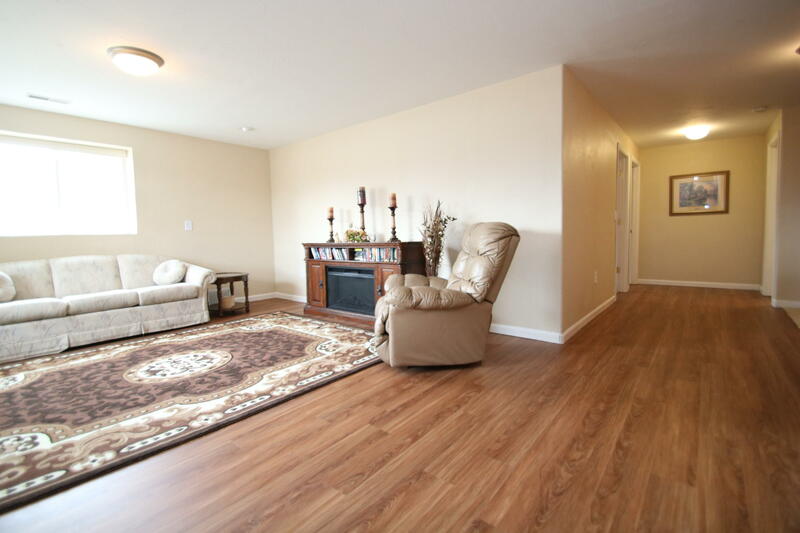 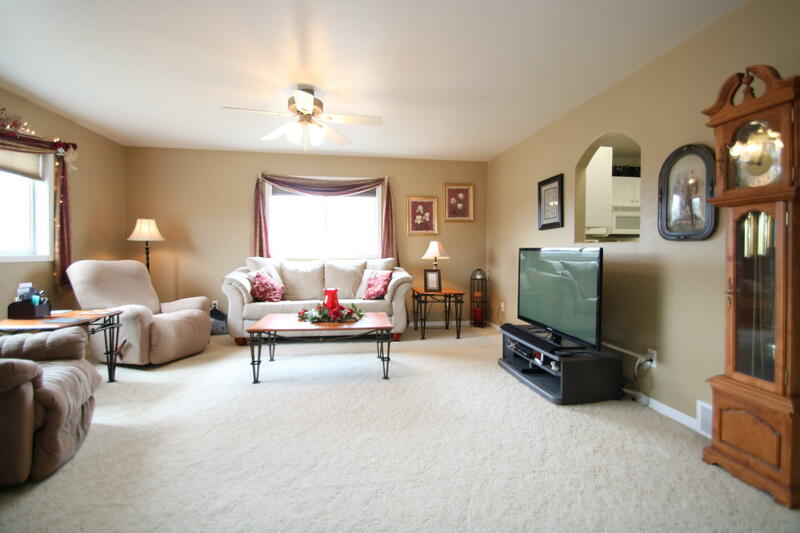 This Condo offers OVER 3,000 SqFt of well cared for, beautiful living space. 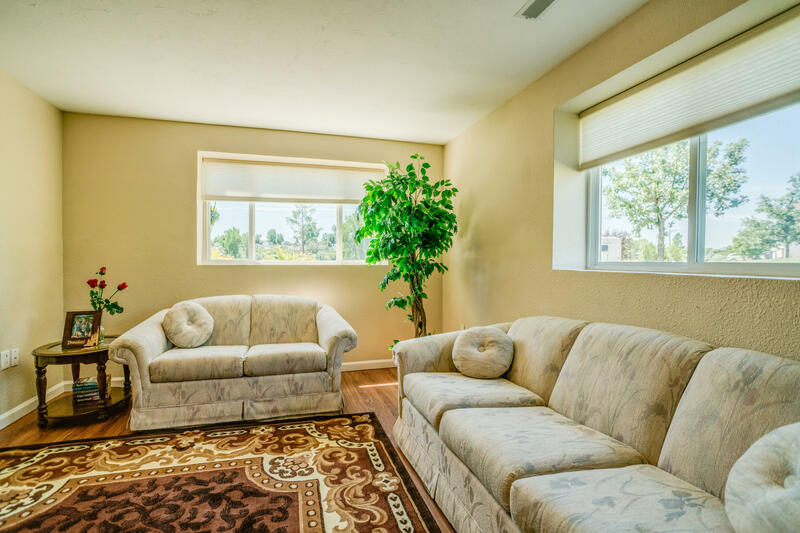 Upstairs you'll find a generous living room that allows natural light to pour through the south facing windows. 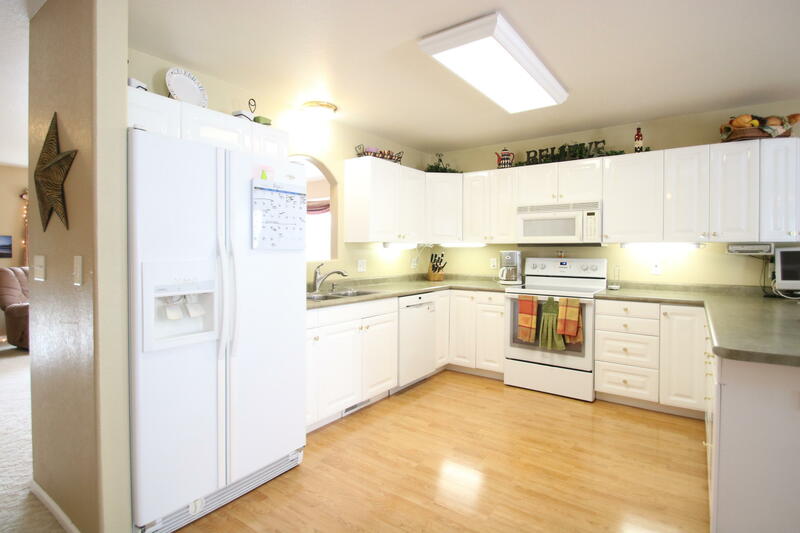 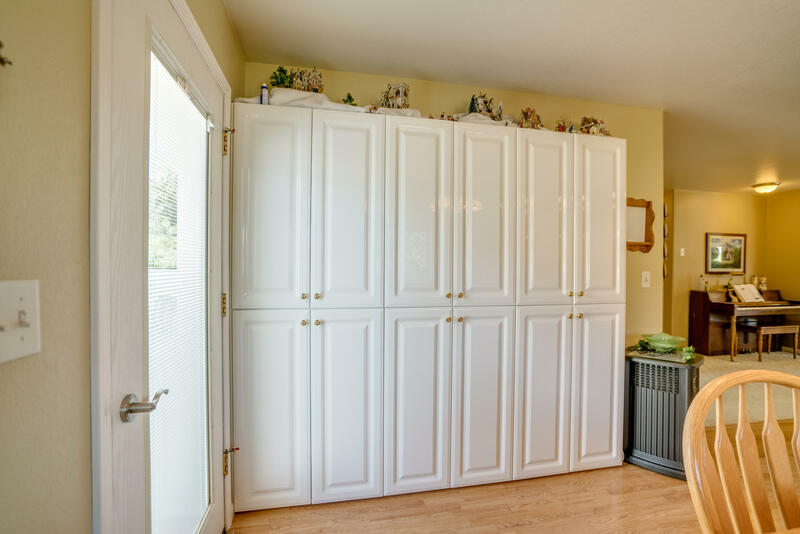 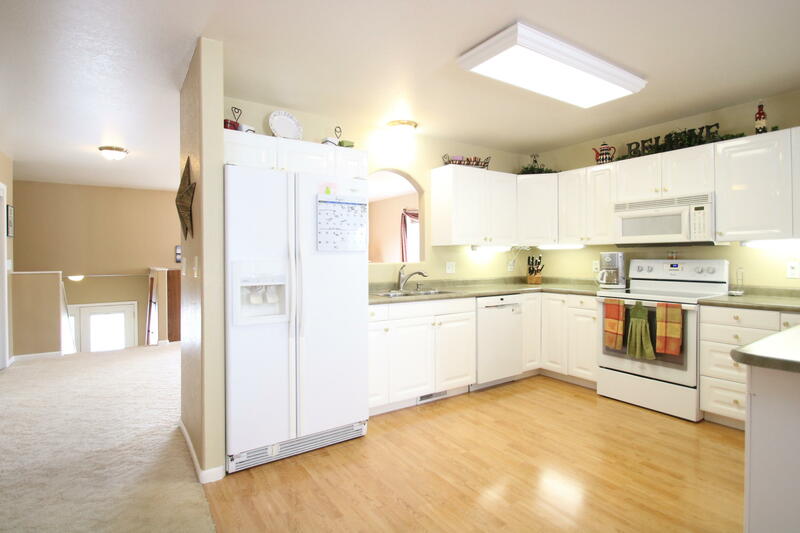 In the kitchen & dining room, you will be greeted by the beautiful & easy to clean white cabinets with ample storage. 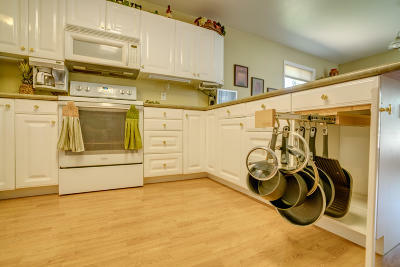 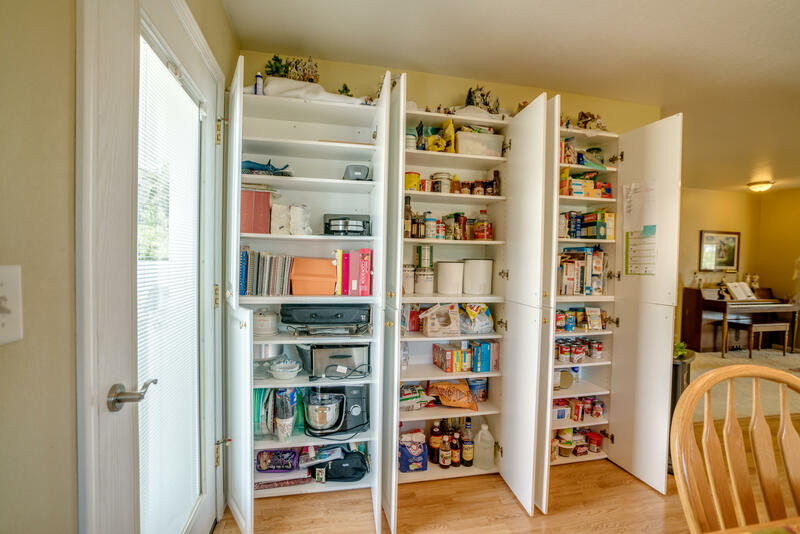 Convenient pull outs and organizational extras makes every cook happy and it also makes for a very functional kitchen. 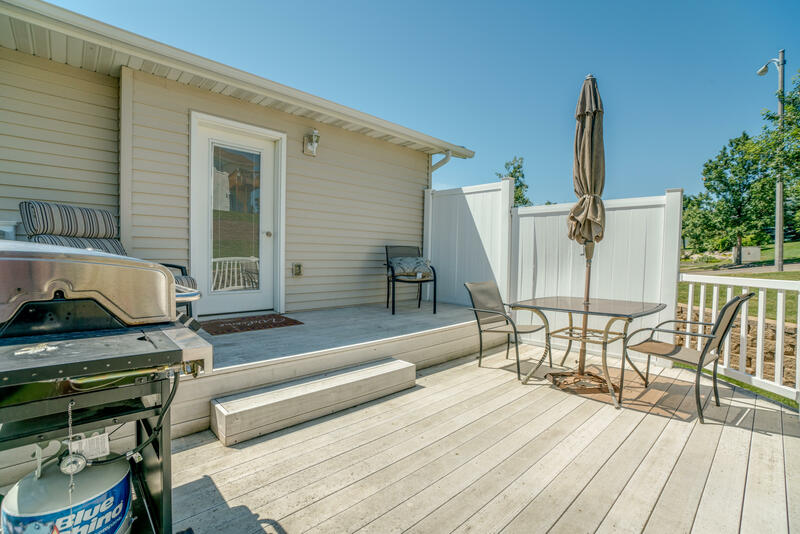 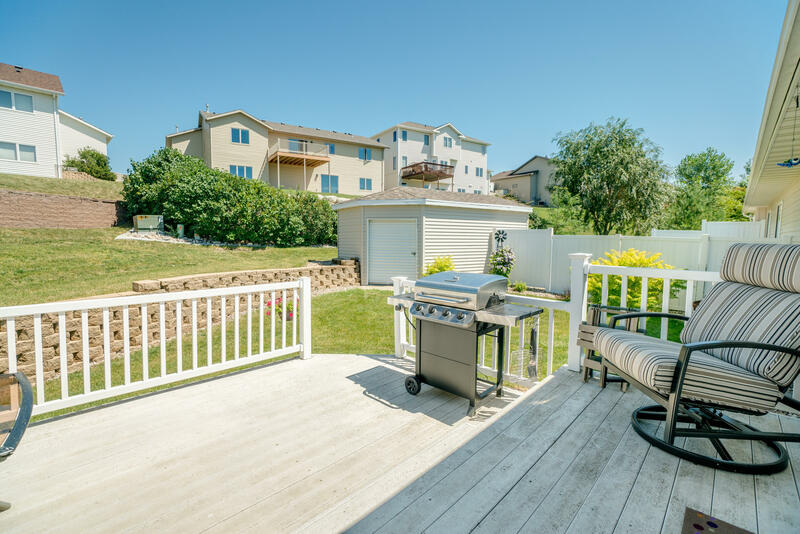 From the dining room, you can step outside onto your multi-tiered maintenance free deck, which is perfect for grilling and entertaining. 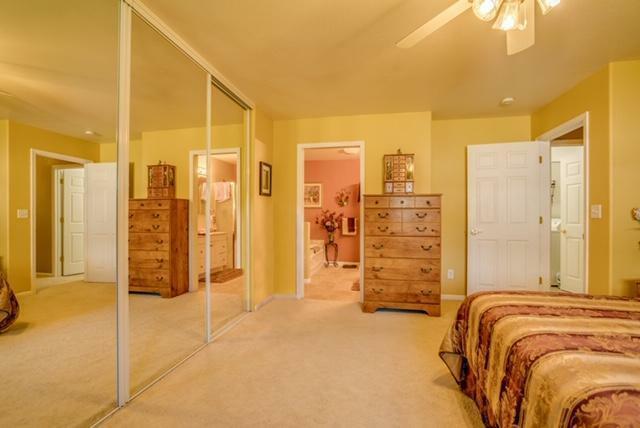 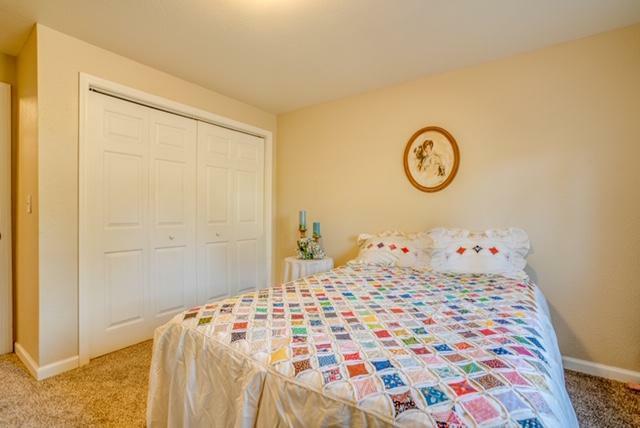 The upstairs master bedroom has closet space galore! 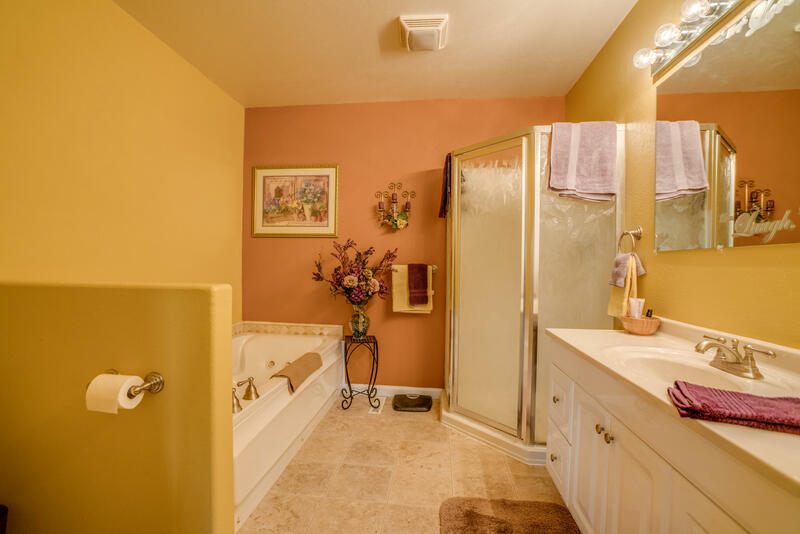 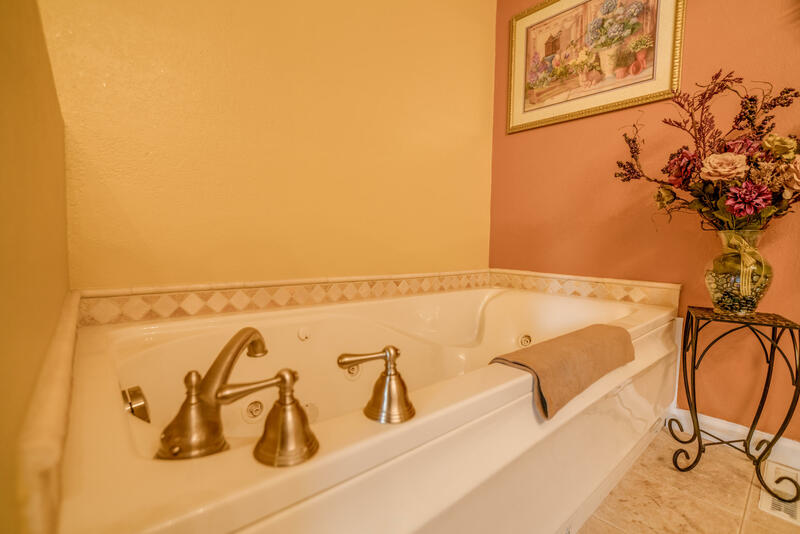 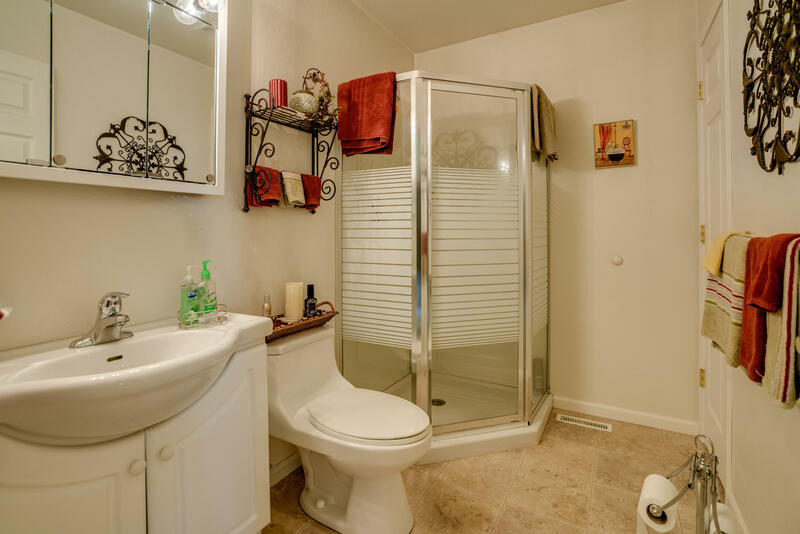 Attached to the master is your over-sized master bath, complete with an extra-long jetted tub; perfect for relaxing and letting the stresses of the day slip away. 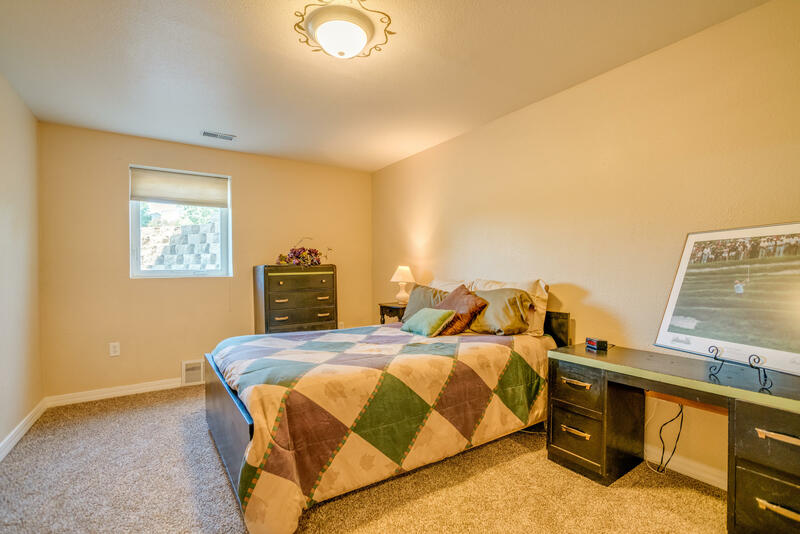 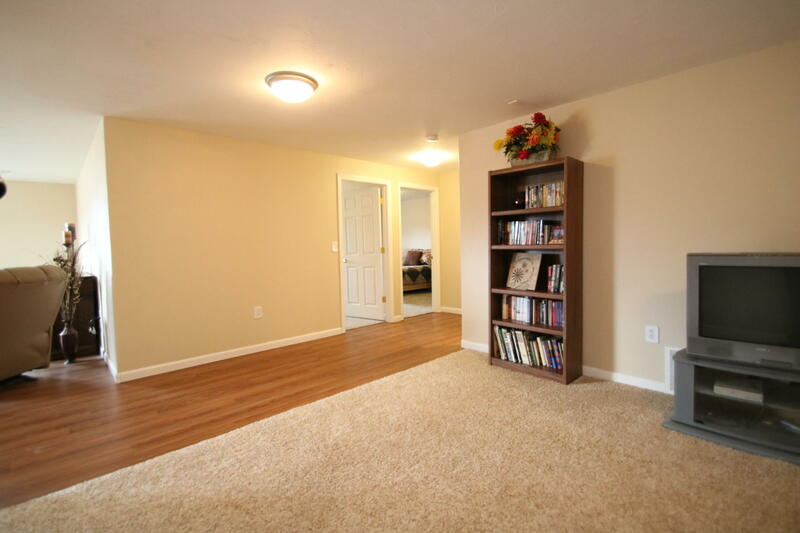 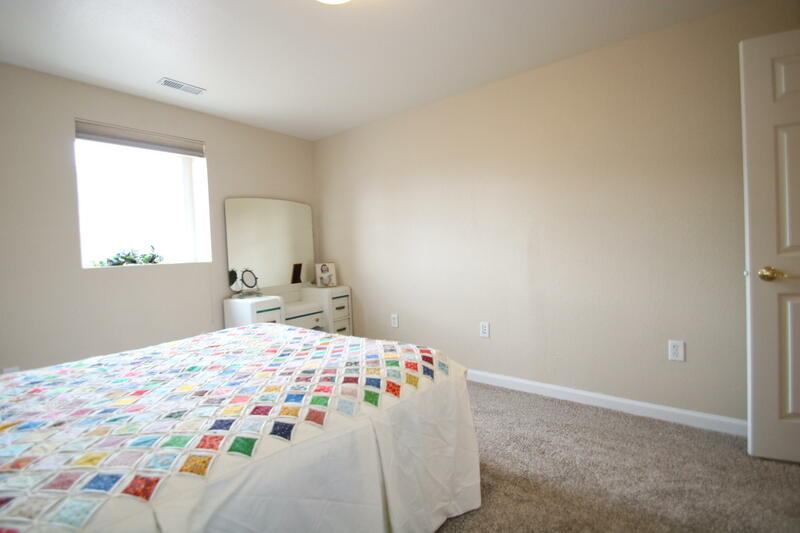 Also, on the main floor, you will find an additional bedroom that would double as a perfect office space/den. 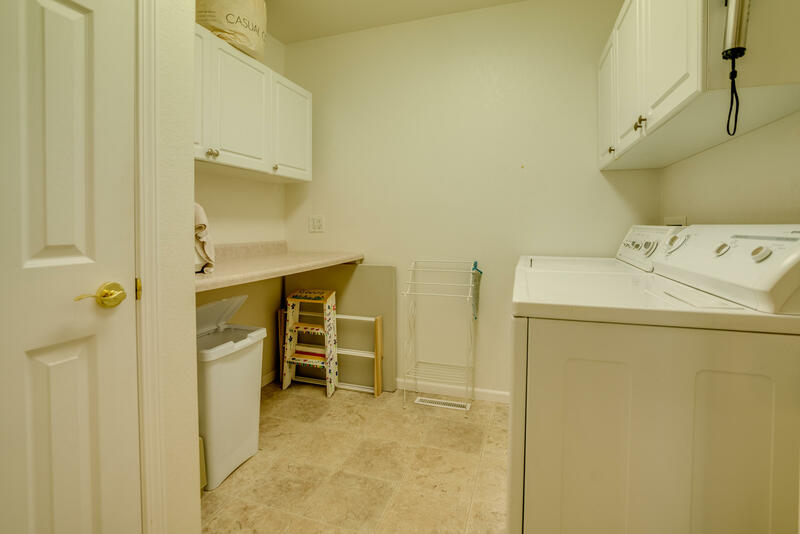 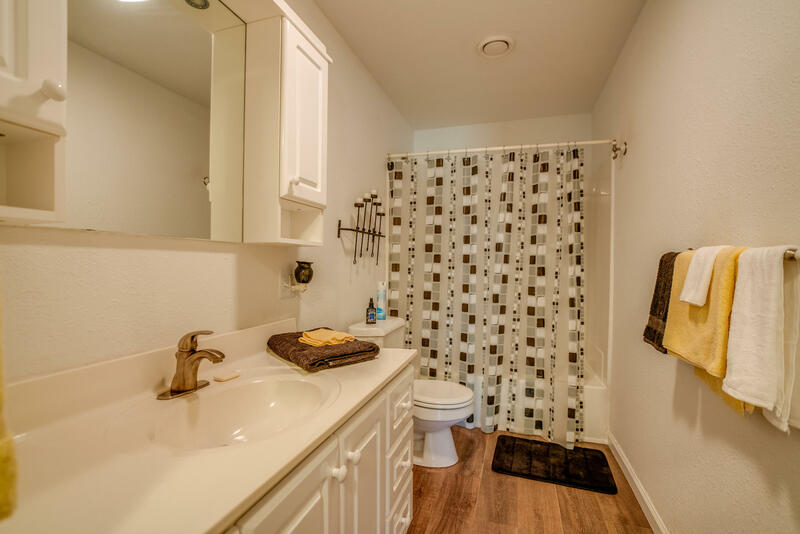 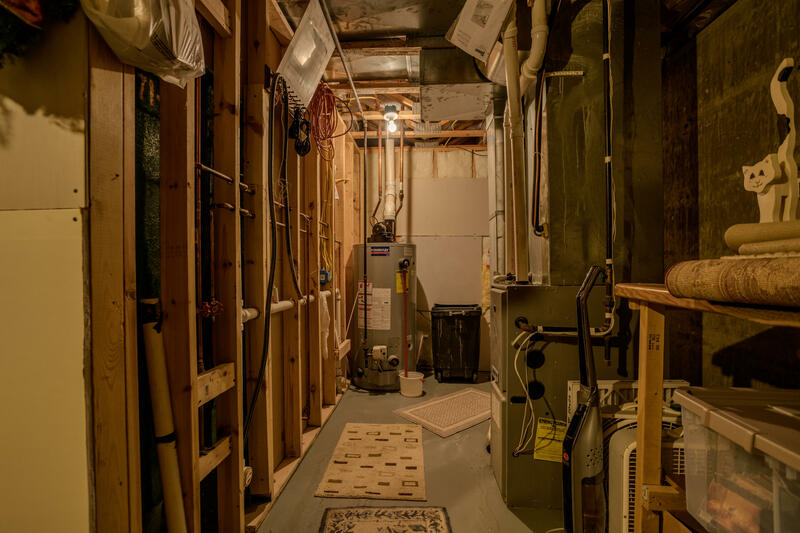 There is an additional bathroom and separate laundry room on the main floor as well, with extra insulation in the walls to keep the sound at a minimum. 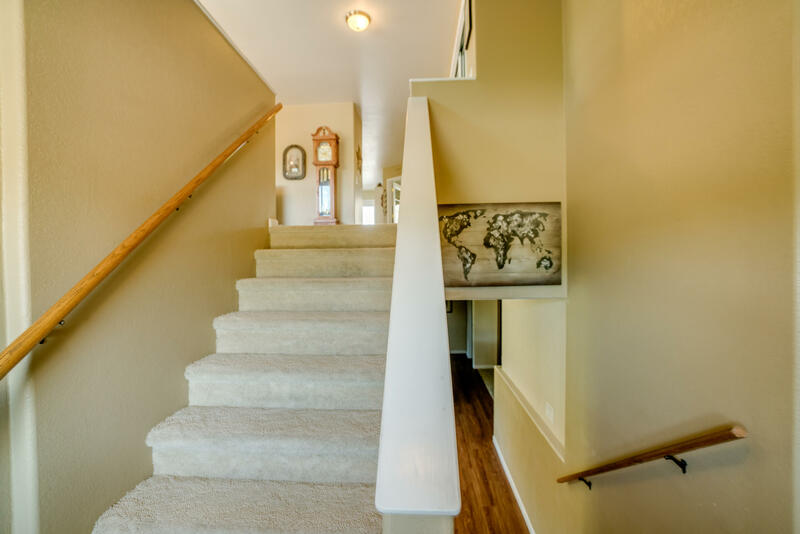 Heading downstairs you will appreciate the daylight windows and the design aspect of having two family room living spaces! 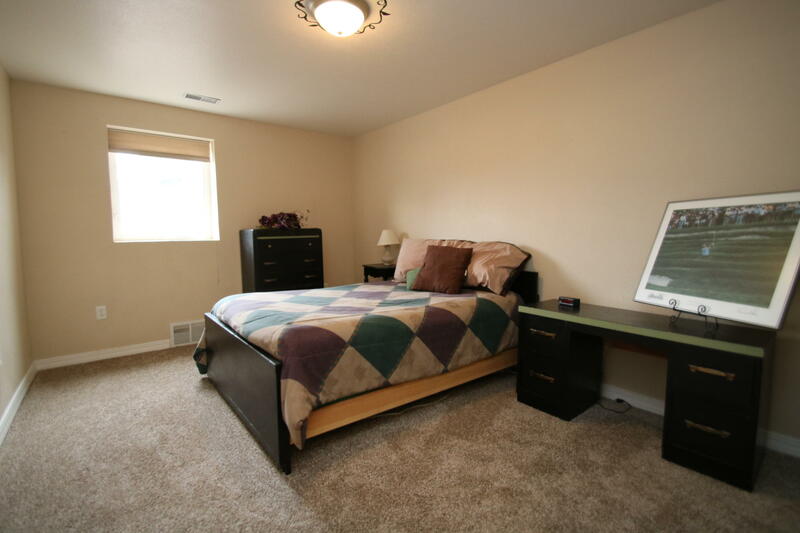 One could be used as an office/computer room, a toy room, for gaming or even for a pool table. 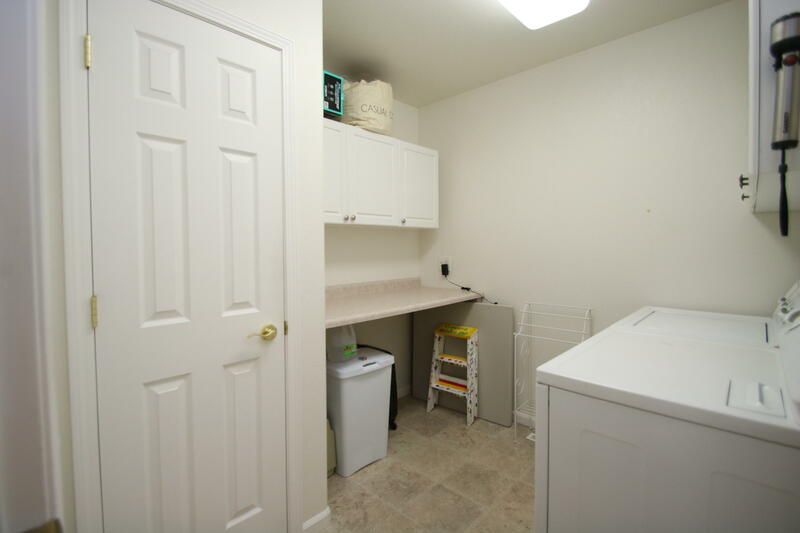 There are really so many options. 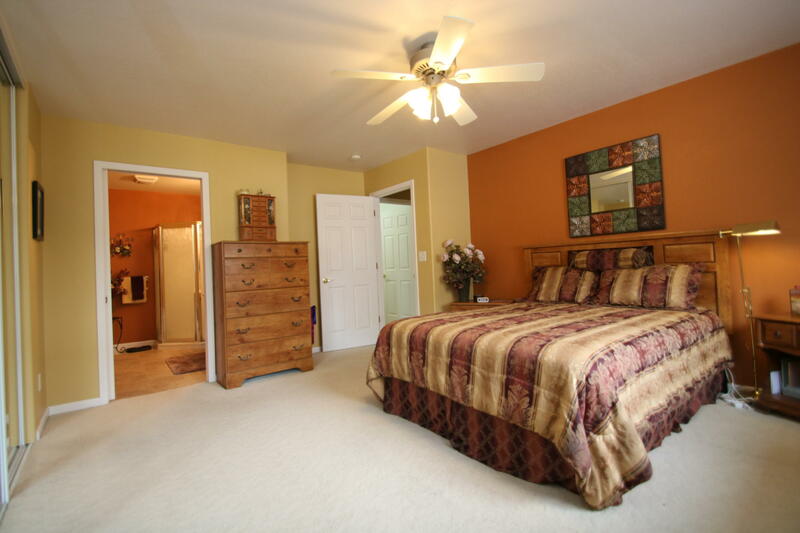 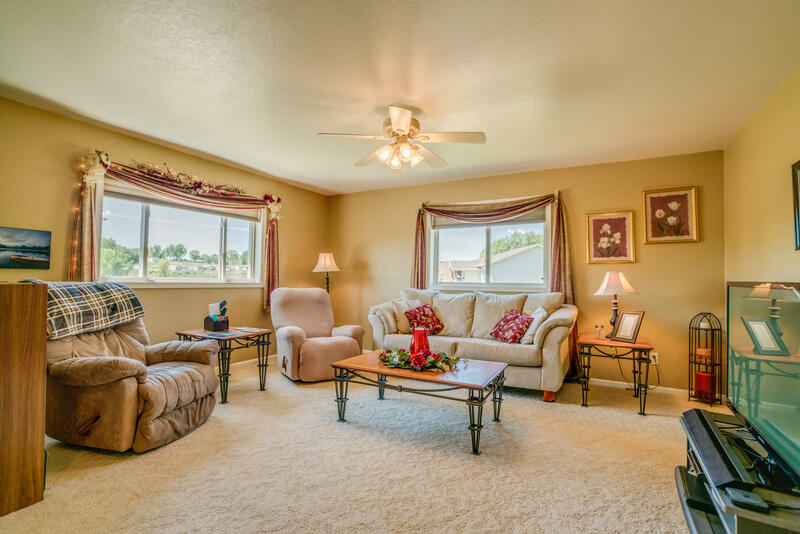 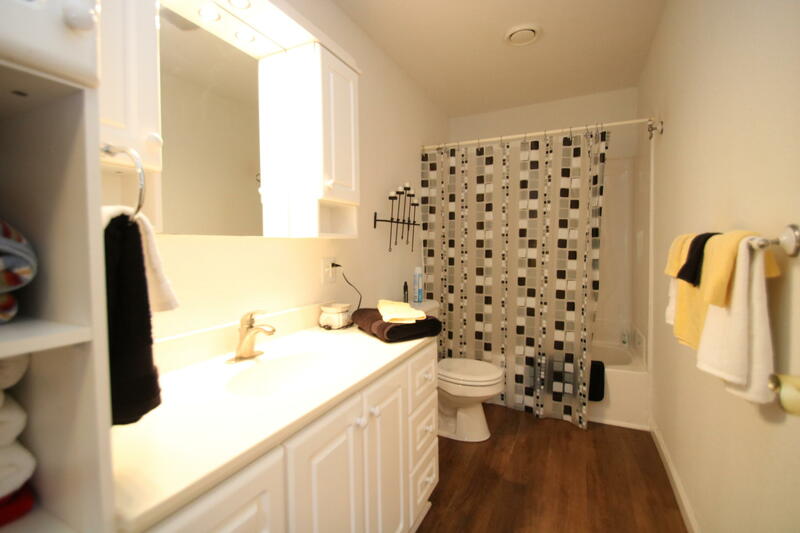 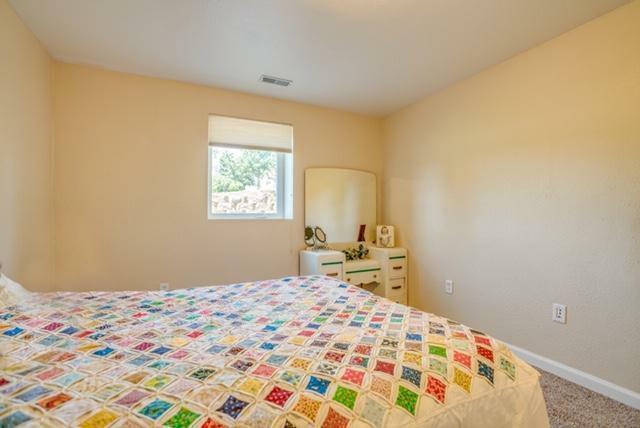 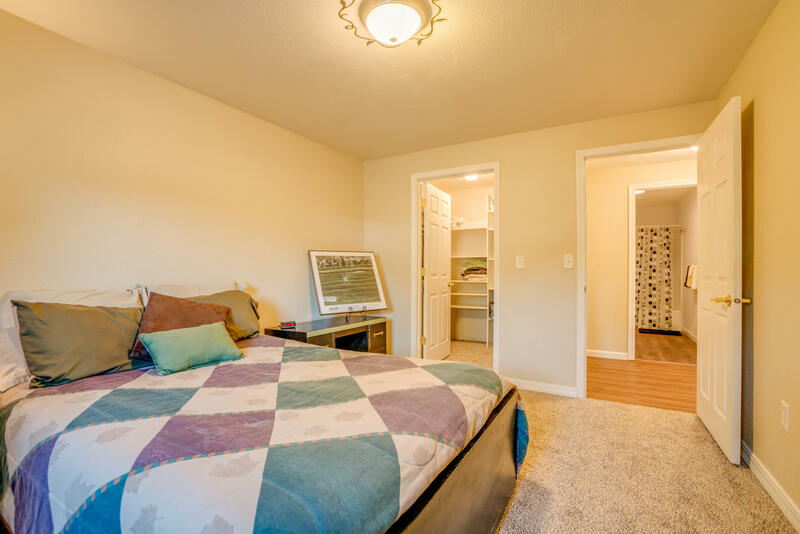 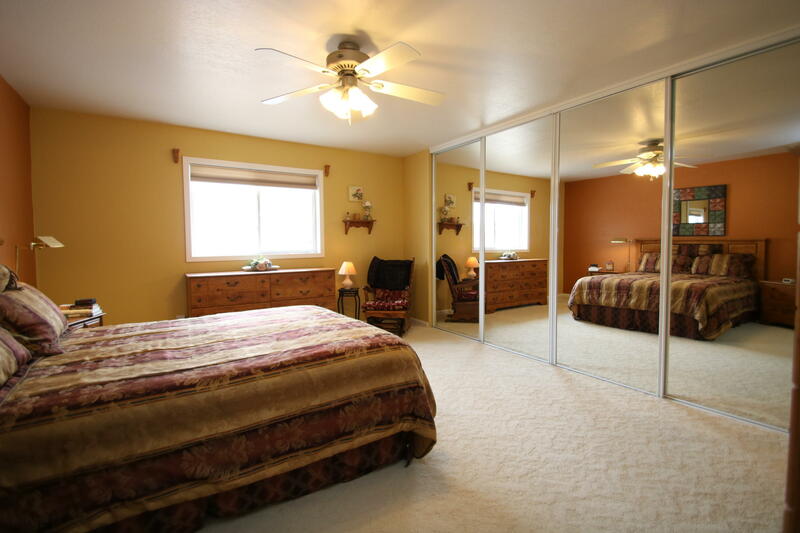 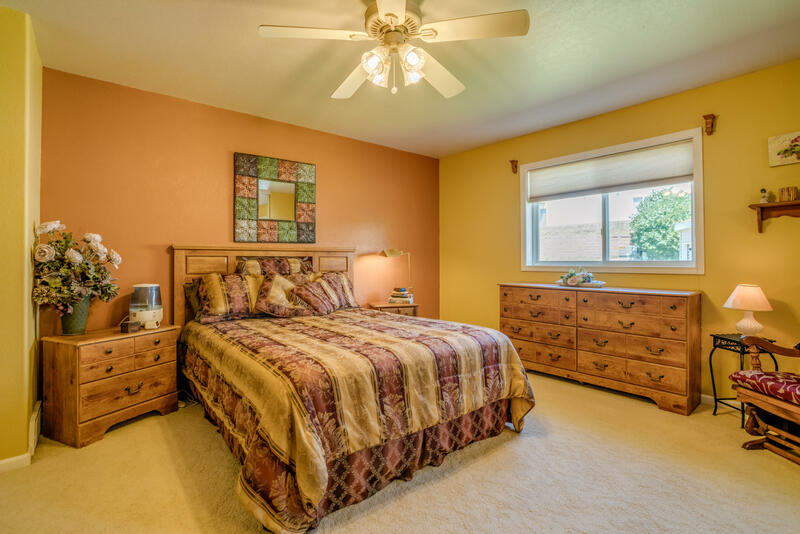 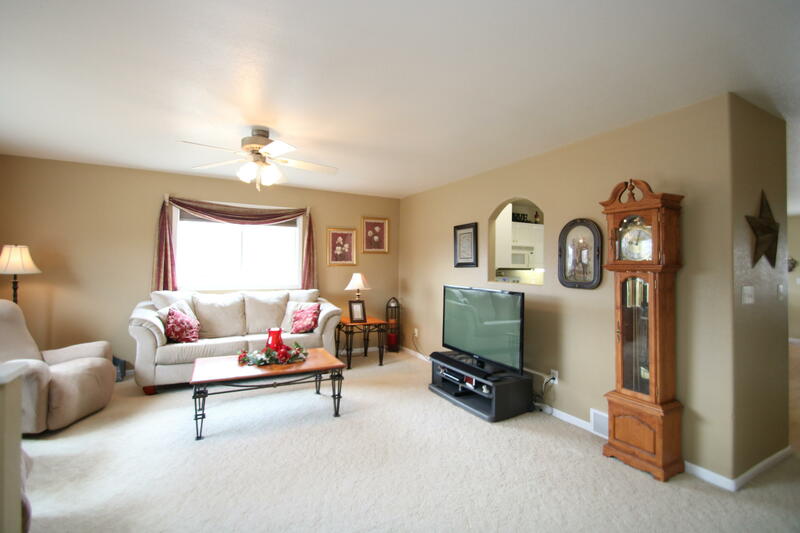 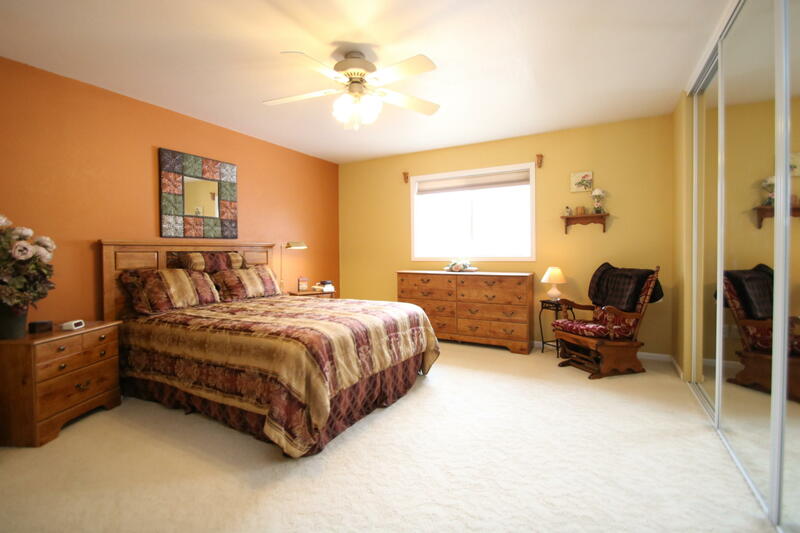 There are two additional bedrooms and a full-sized bathroom downstairs. 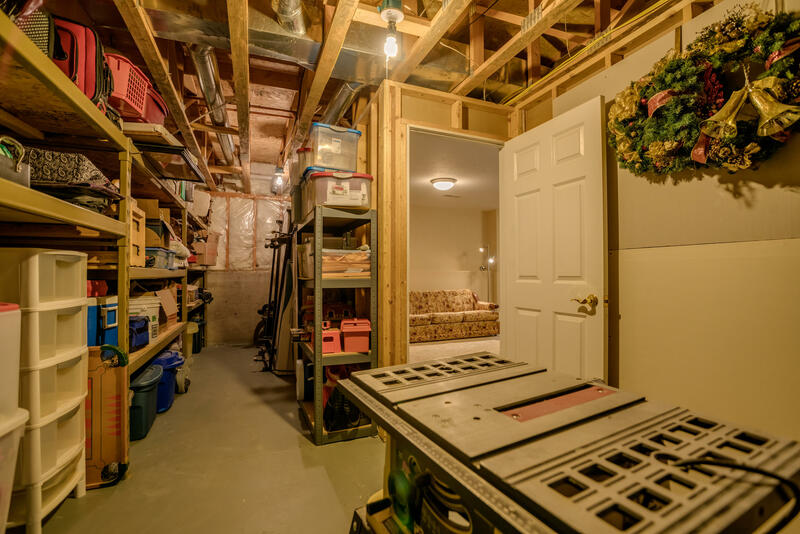 An incredibly large storage room will be sure to please, plus additional storage under the stairs. 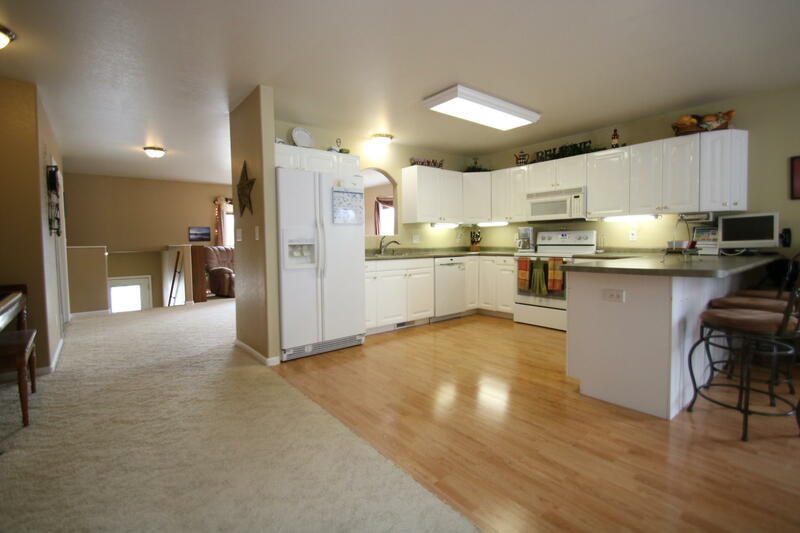 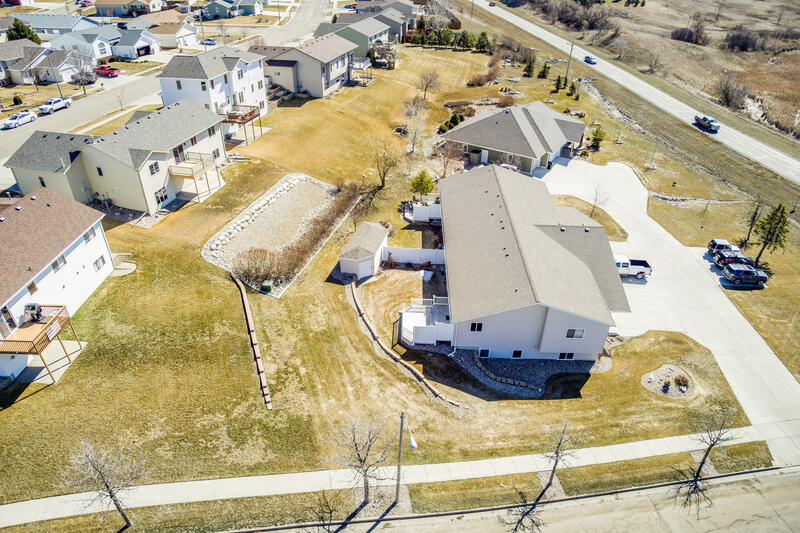 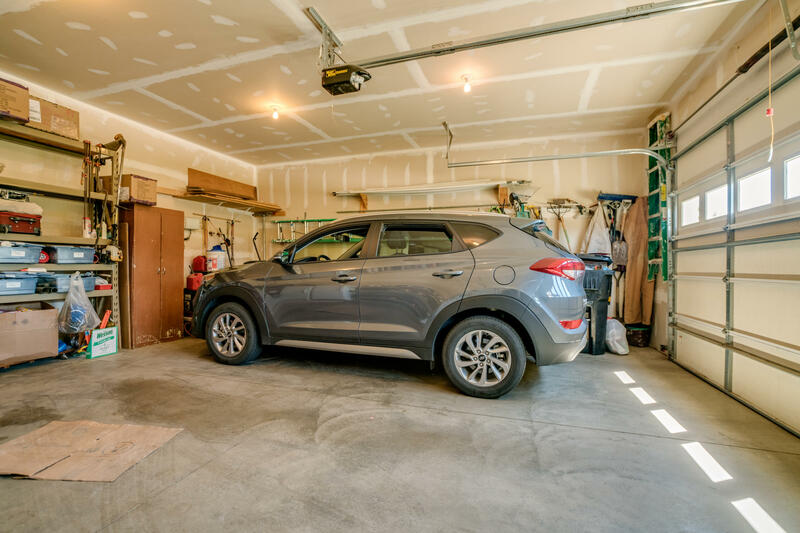 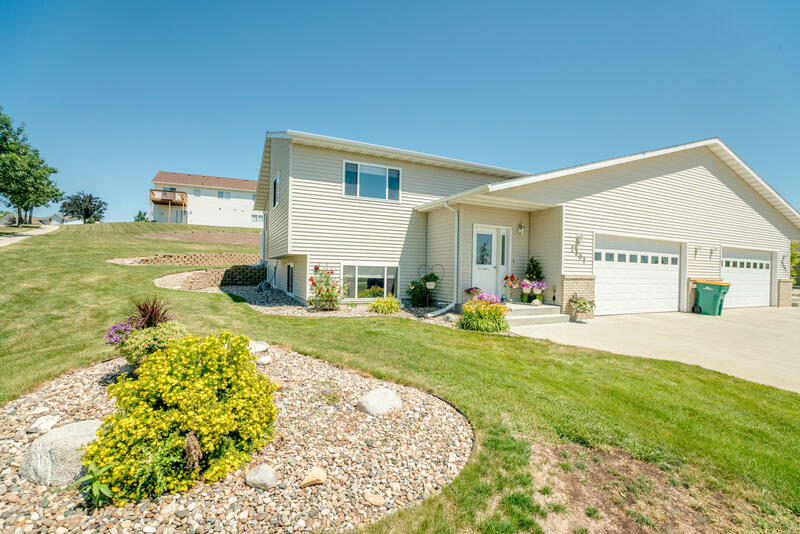 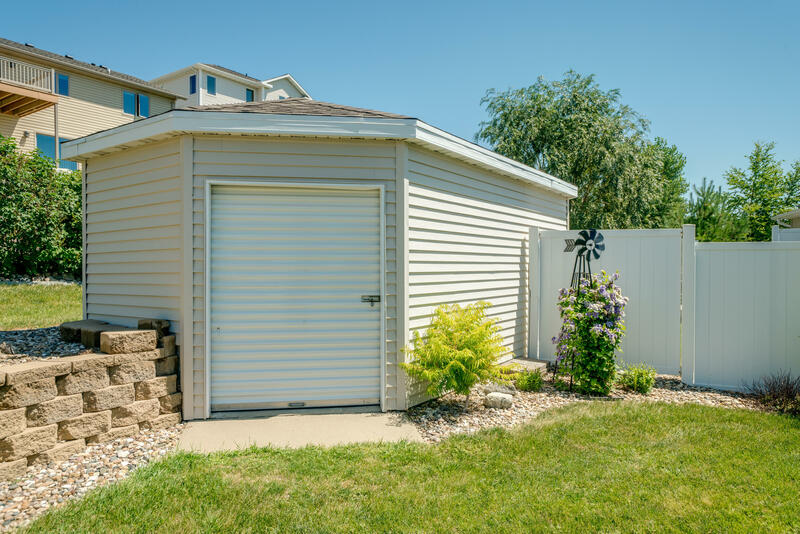 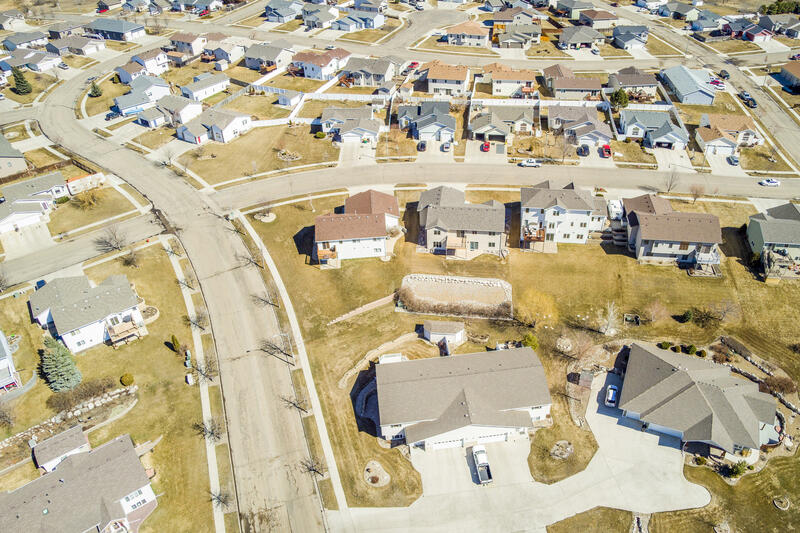 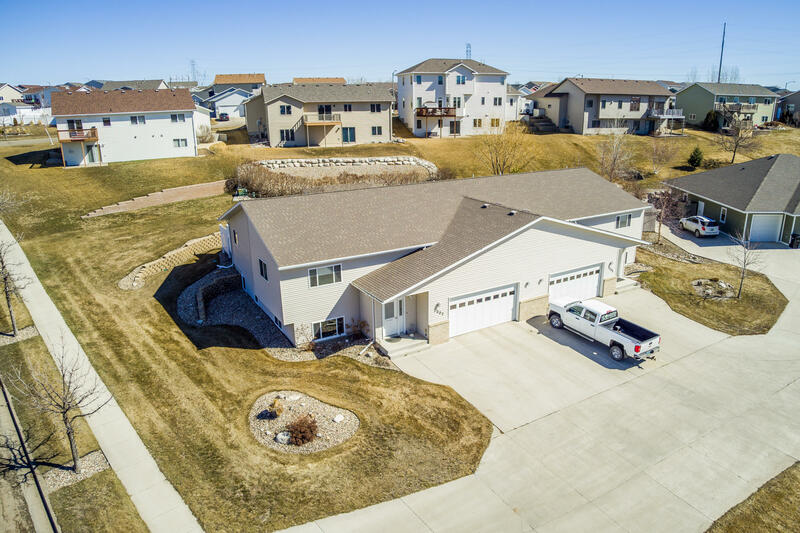 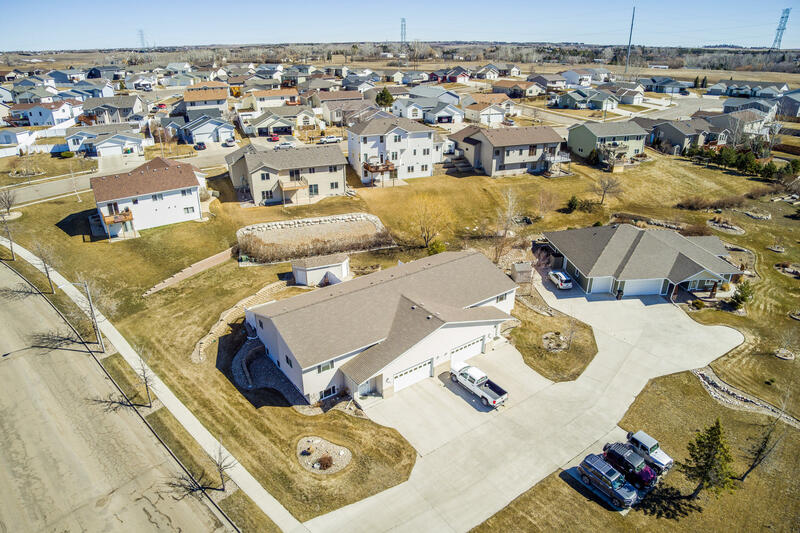 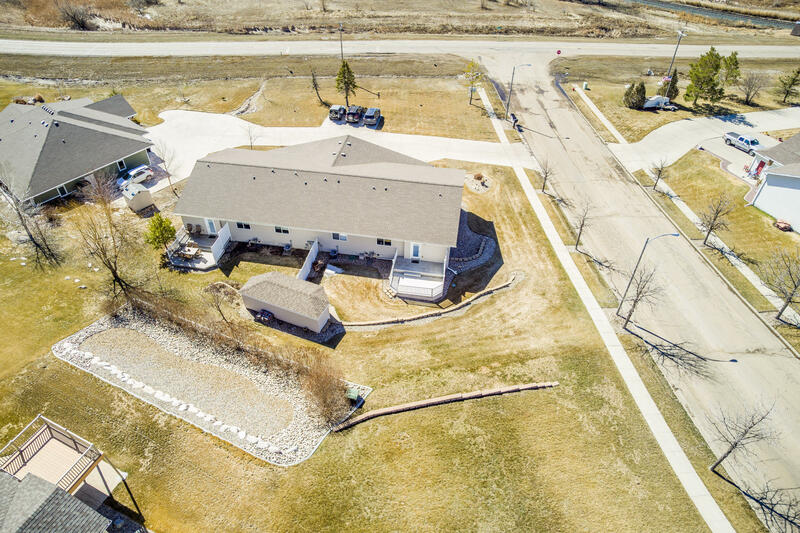 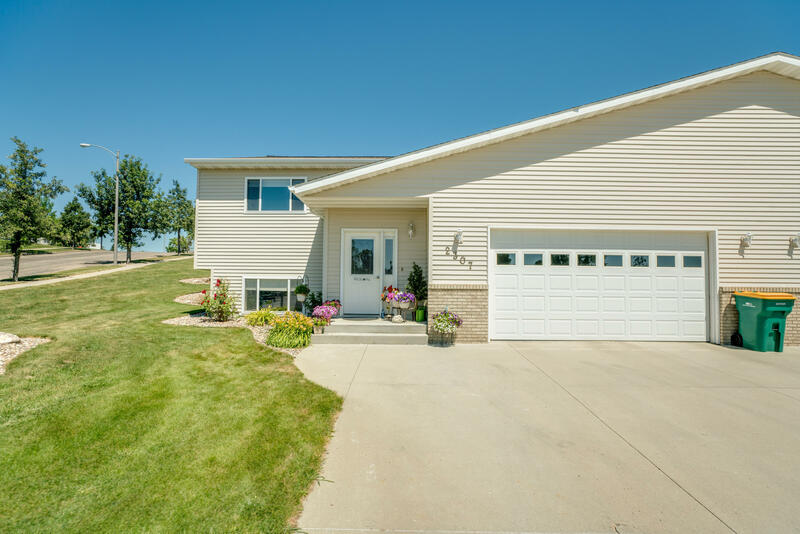 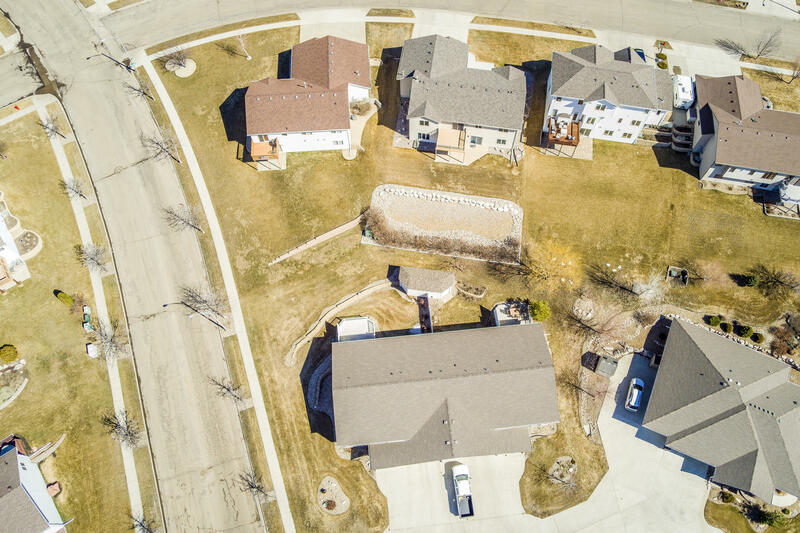 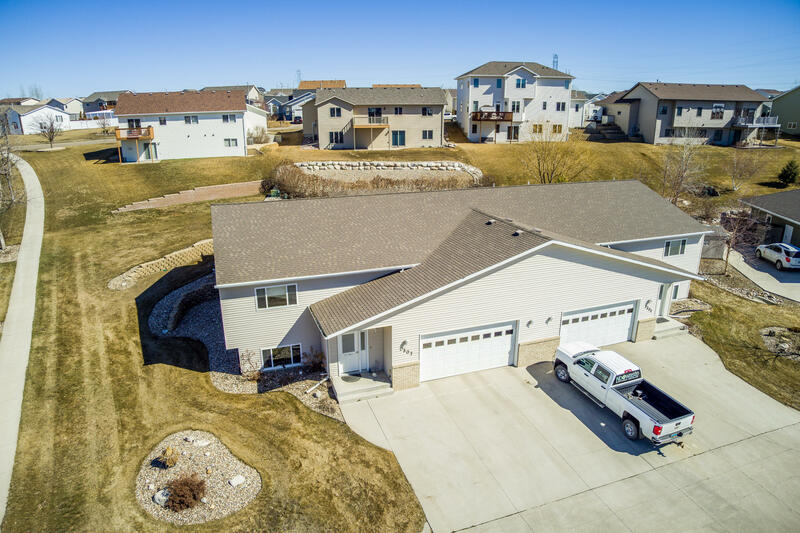 This home has an attached, insulated/sheet rocked double garage with a south facing driveway. 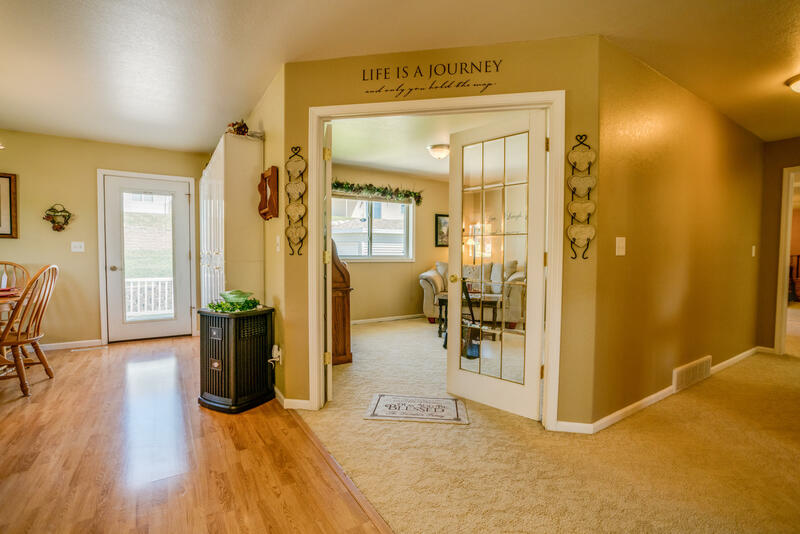 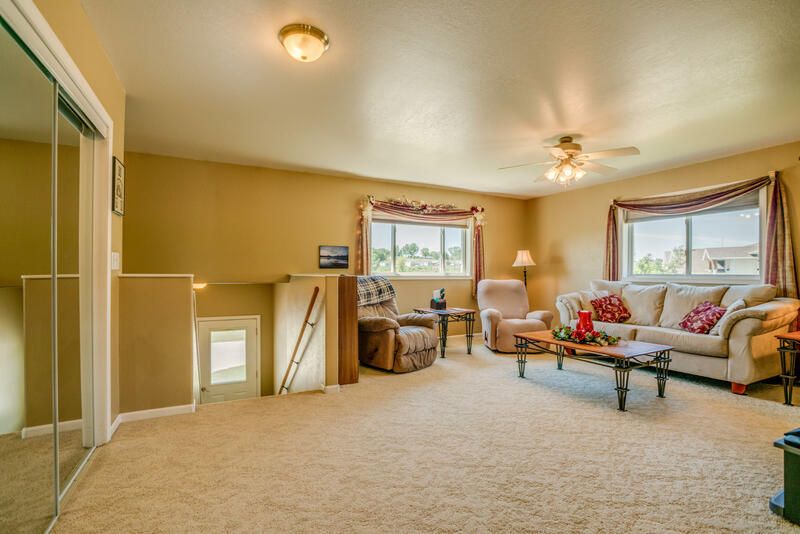 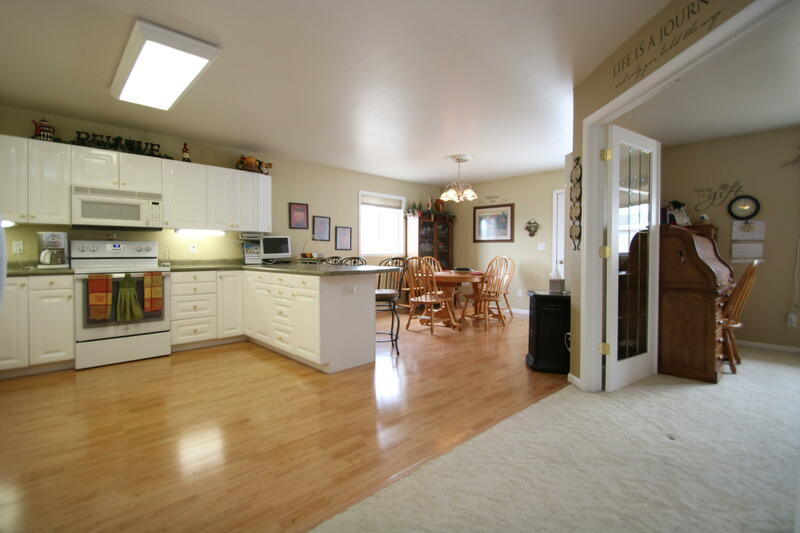 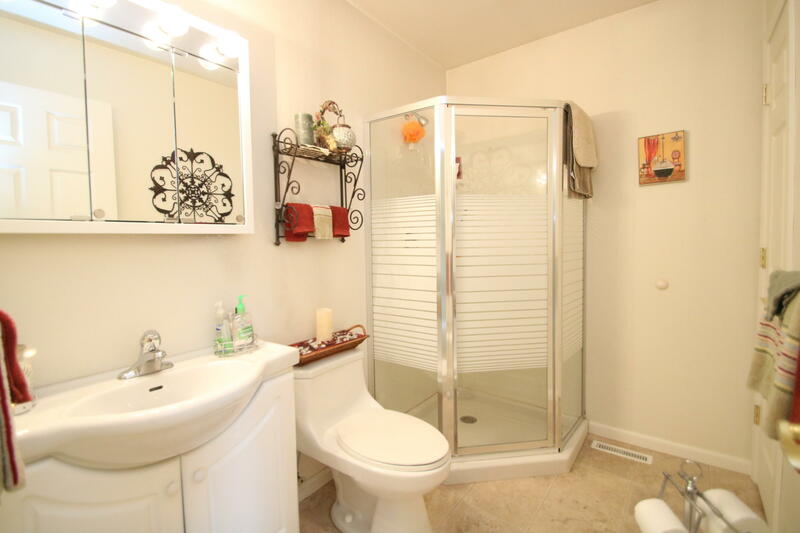 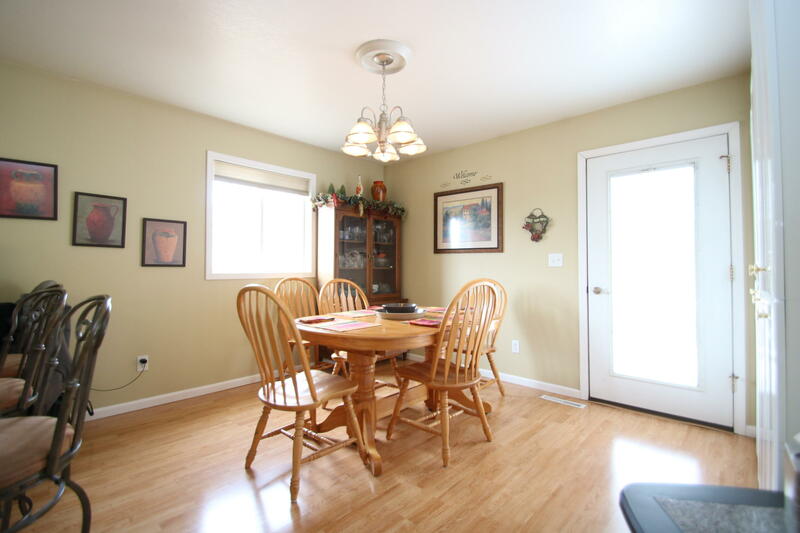 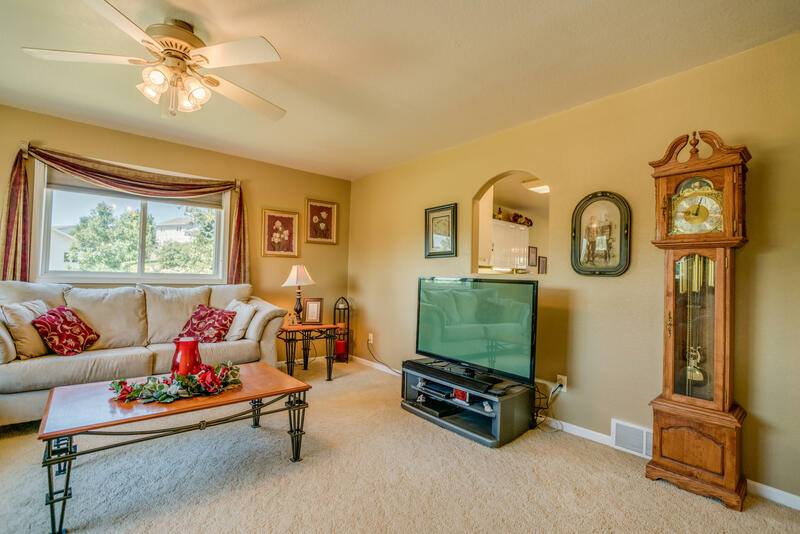 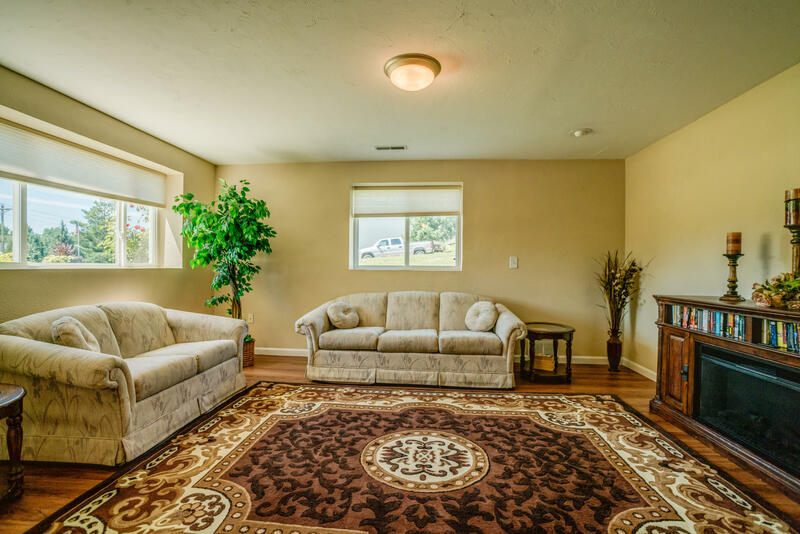 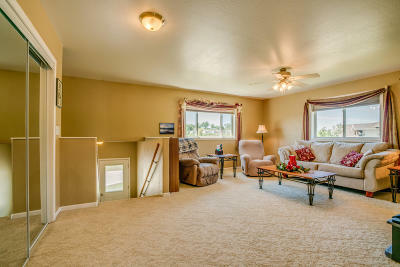 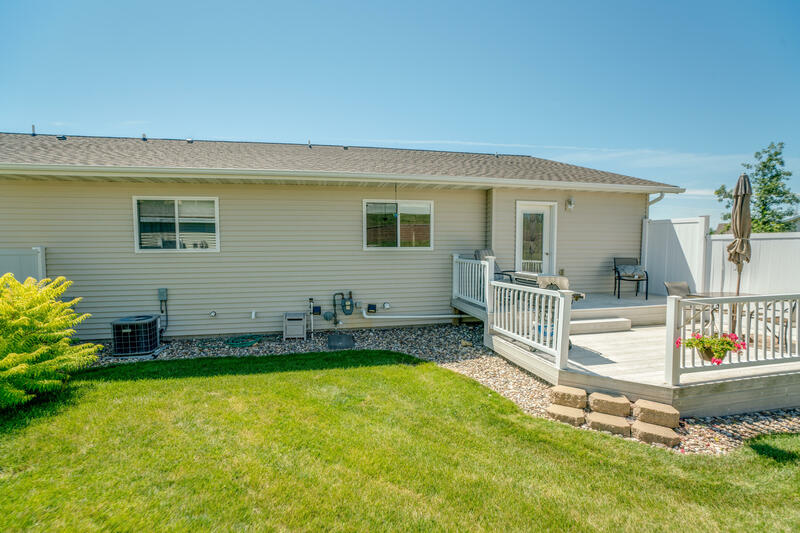 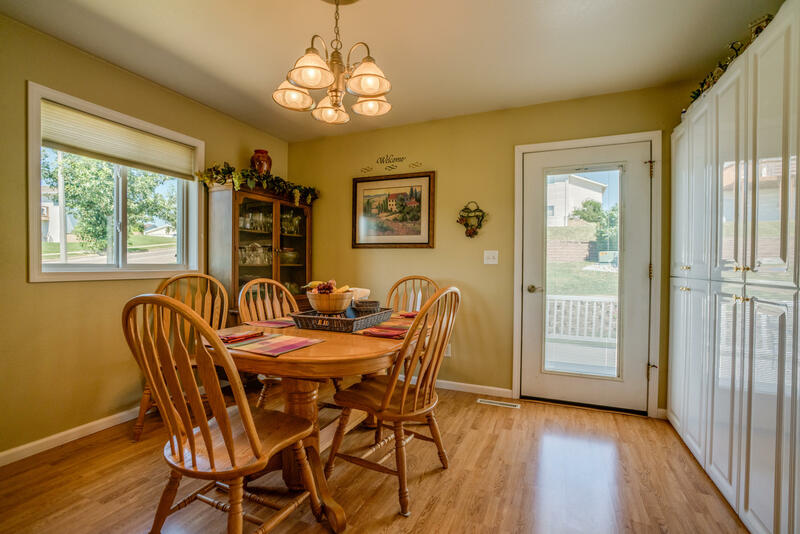 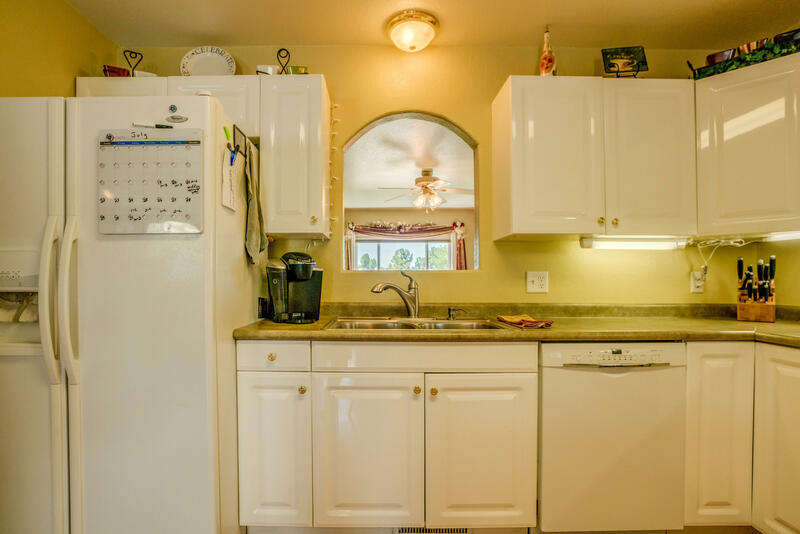 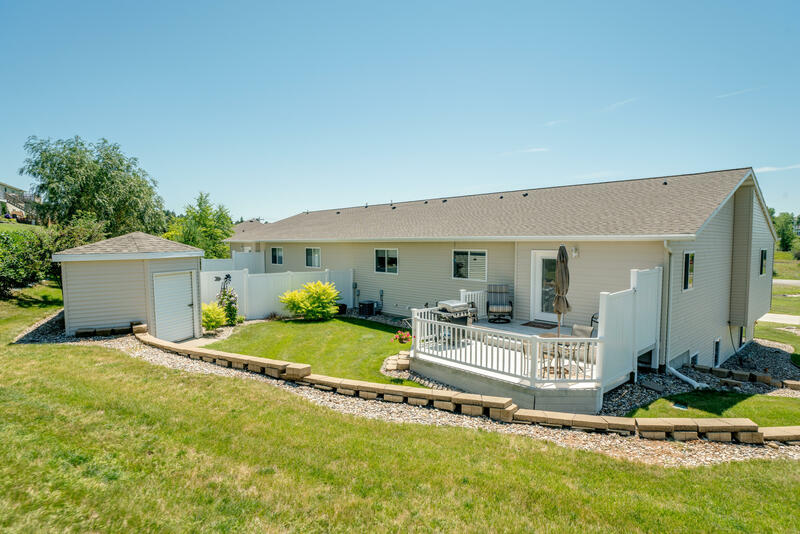 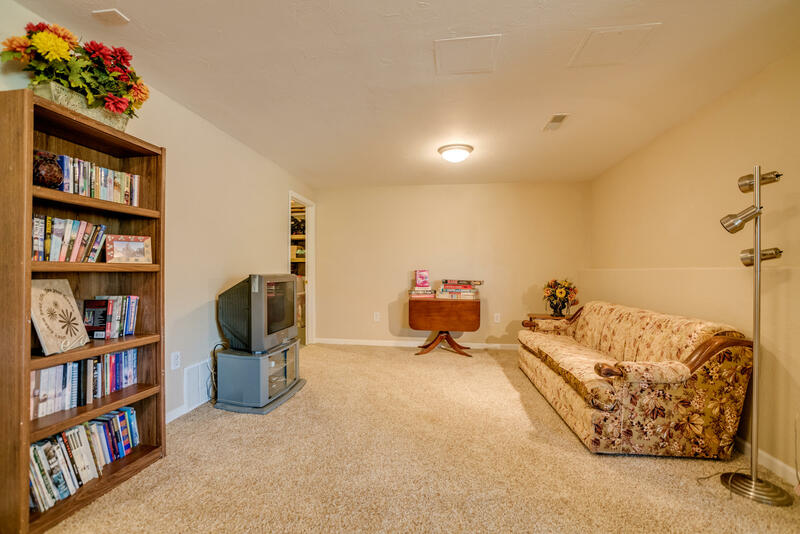 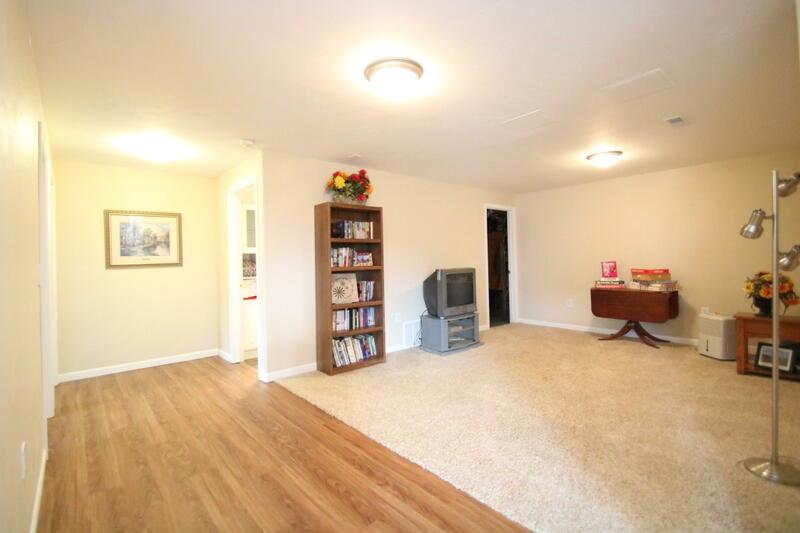 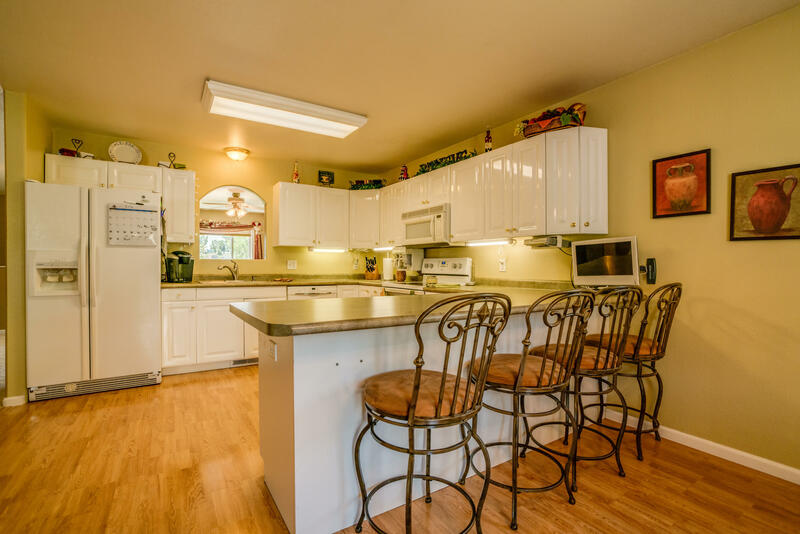 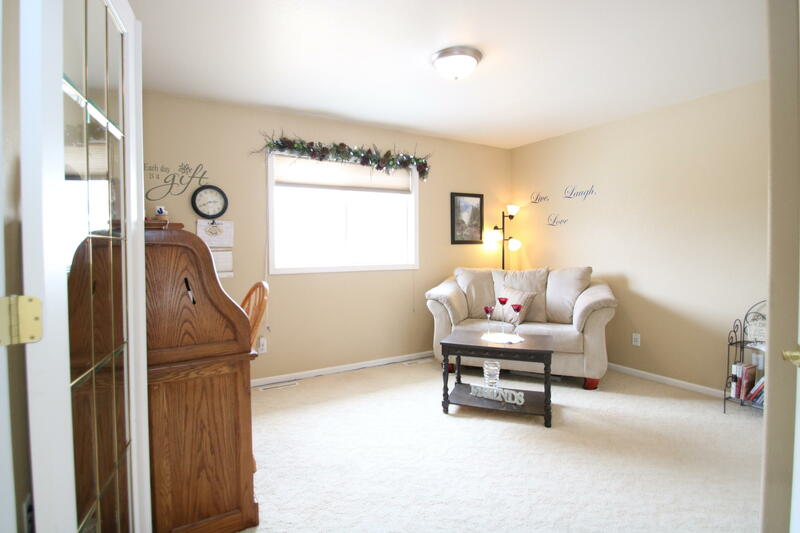 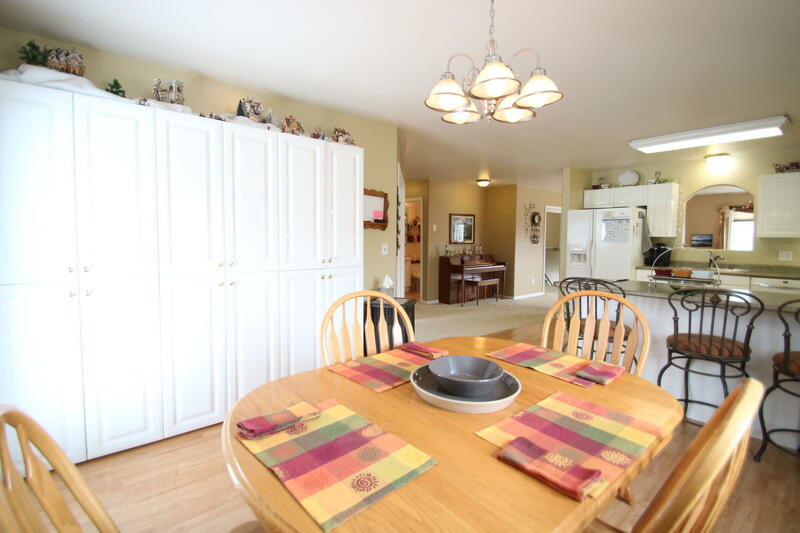 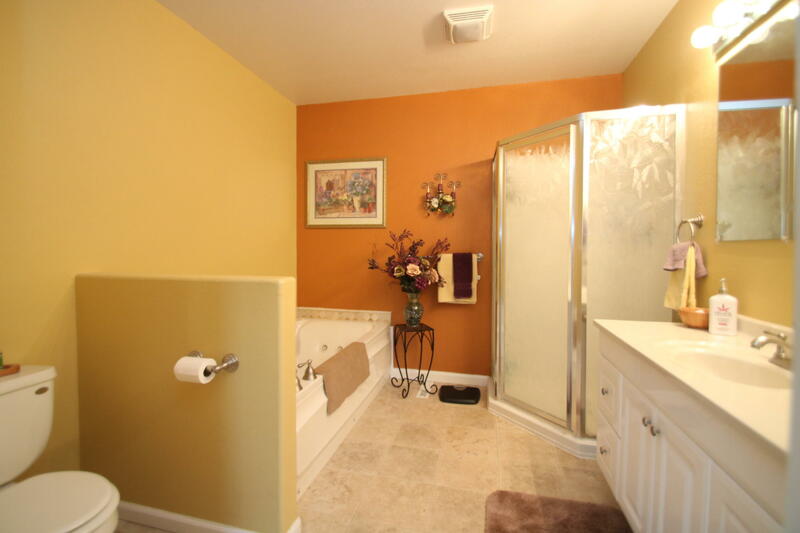 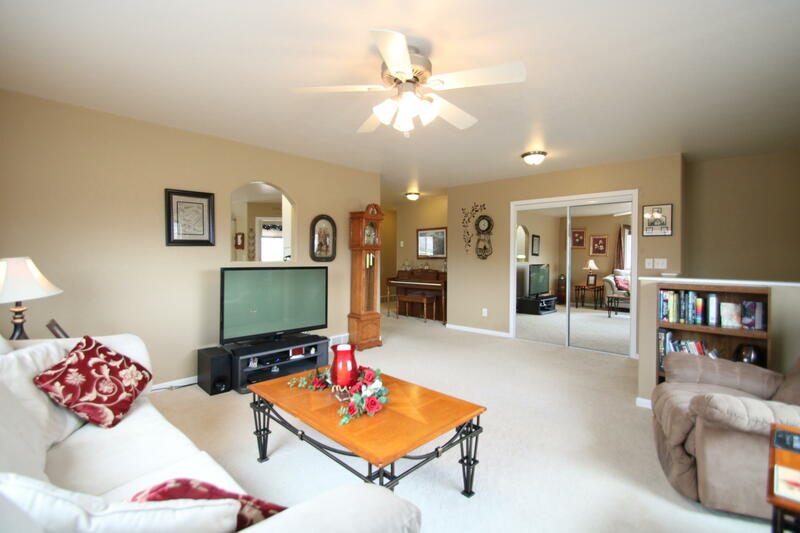 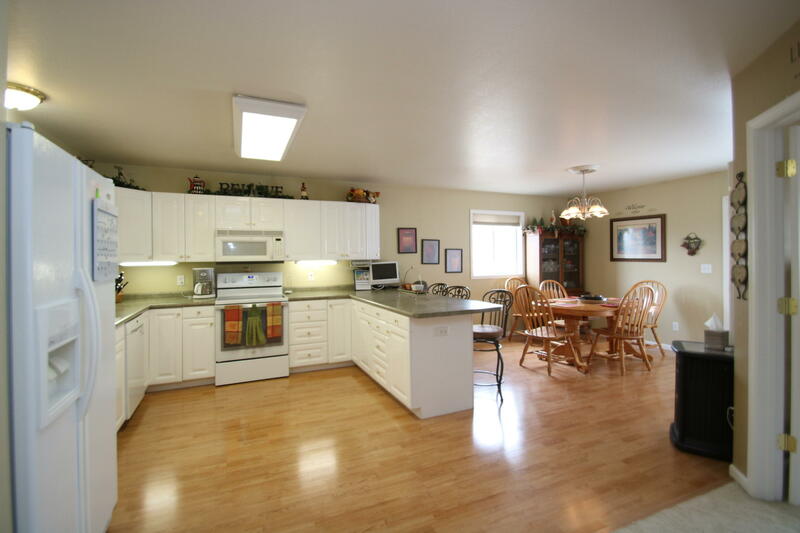 There is a sprinkler system, a large, high quality garden shed and a lawn tractor included. 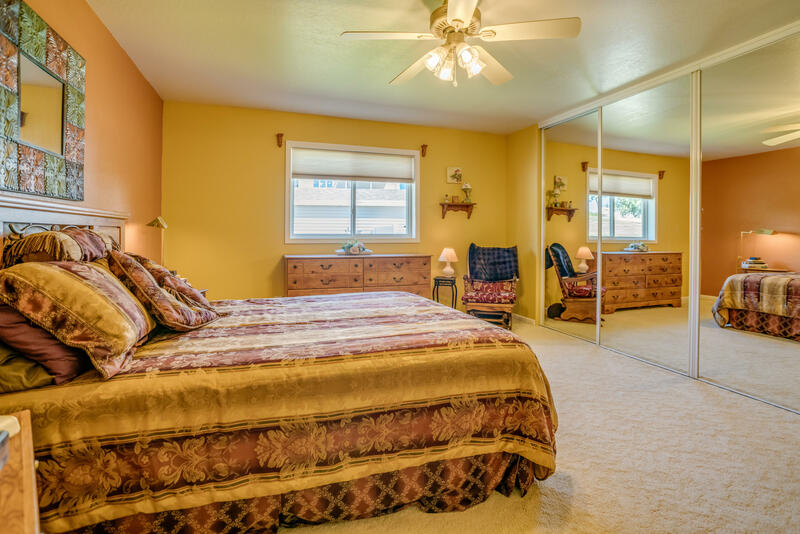 This twin-home style condo is a rare find. Call your Realtor to schedule your very own private tour TODAY!